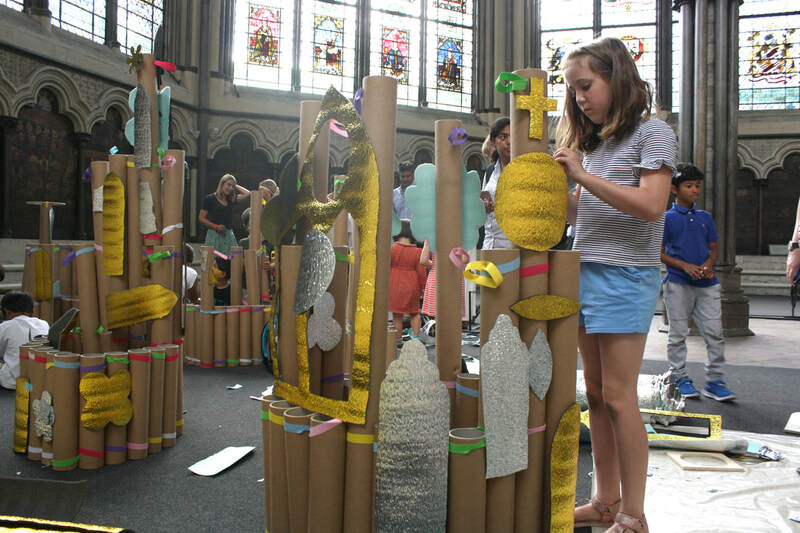 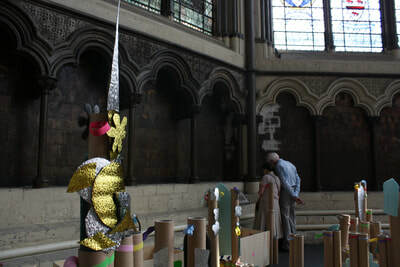 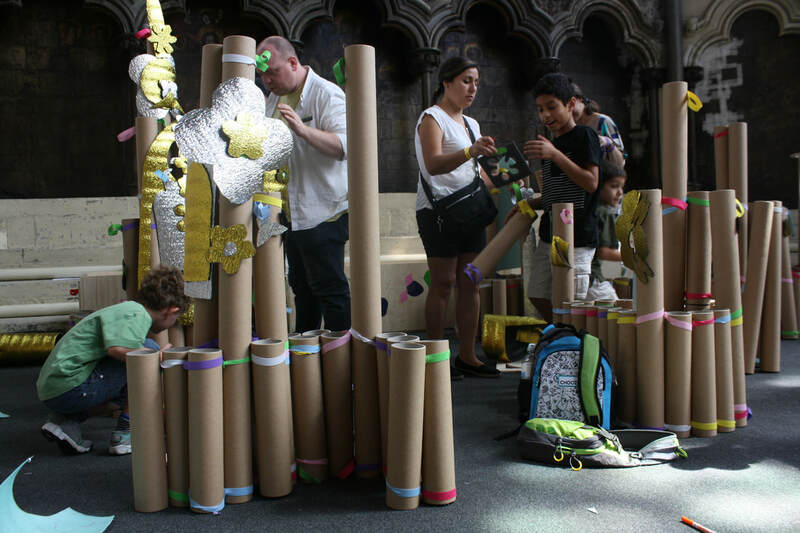 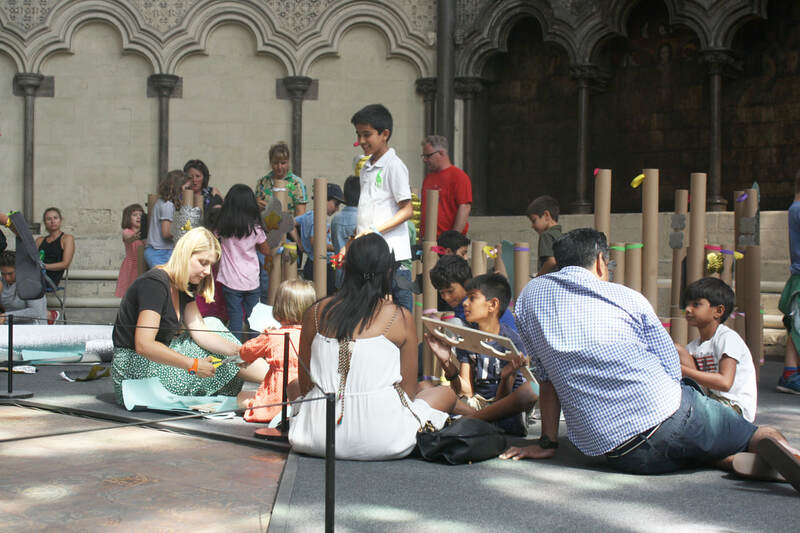 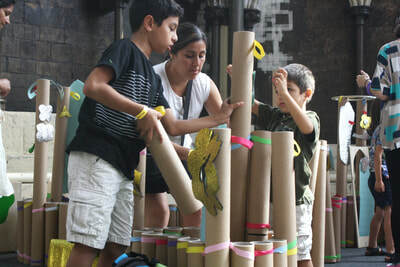 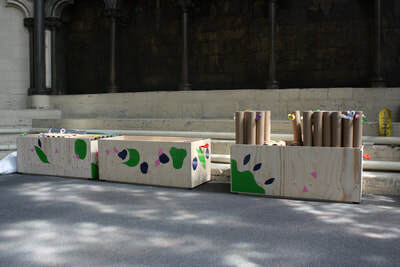 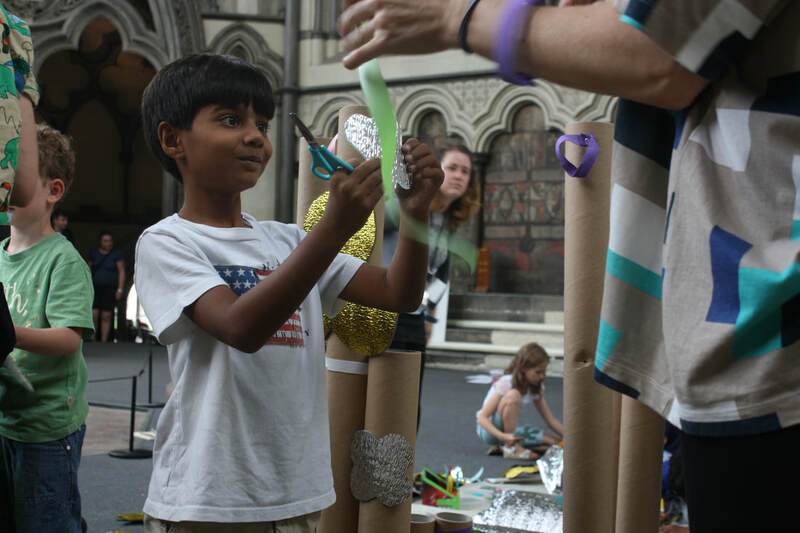 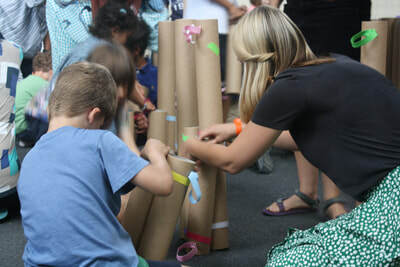 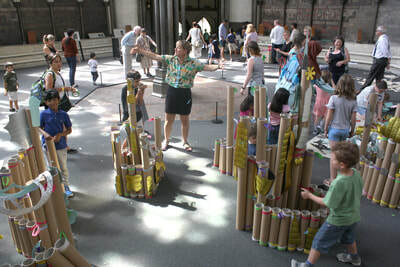 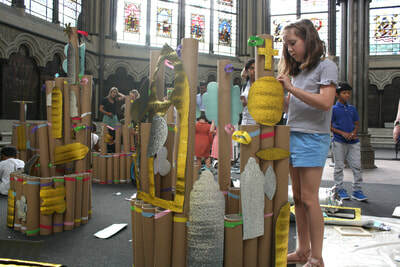 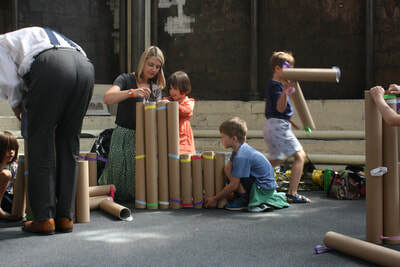 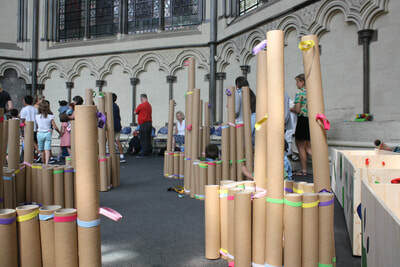 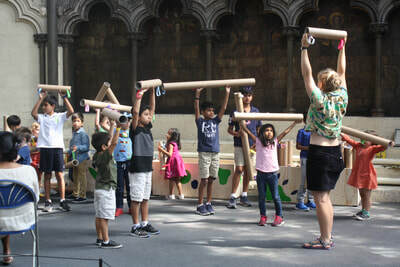 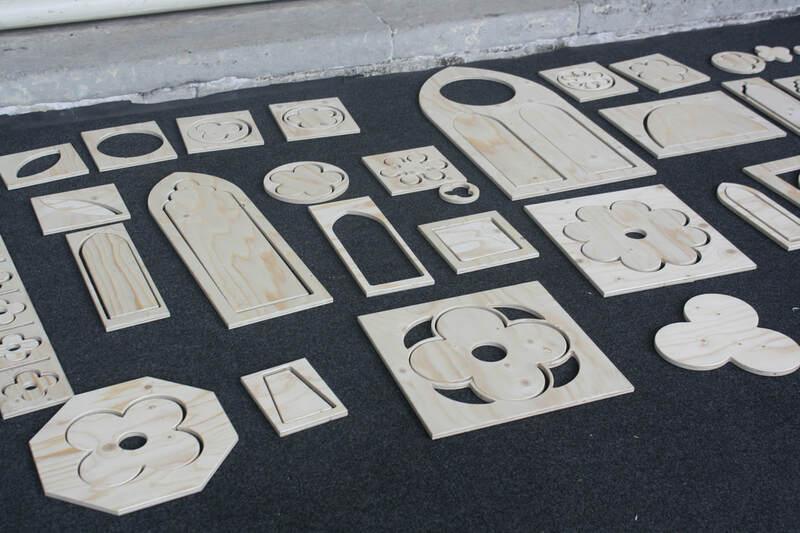 A workshop for children and adults to create experimental architectural structures in the context of Westminster Abbey. 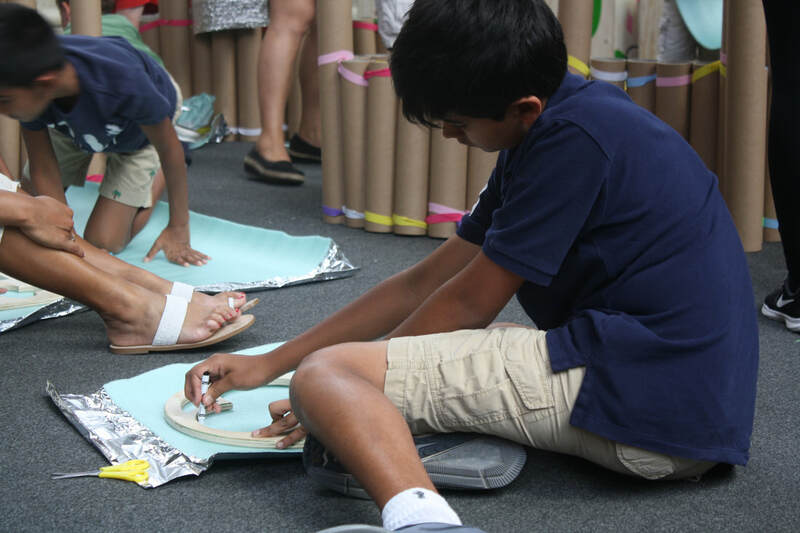 Using the architectural forms of the Abbey as a starting point, we sourced readily available materials for families to create their own parallel buildings. 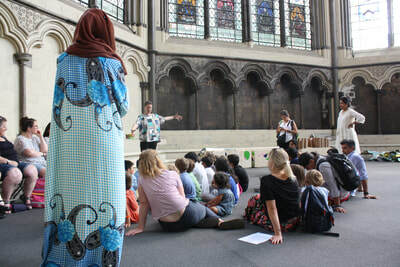 The workshop began with questions about the function of the Abbey and exploration into how the space made the participants feel, including what might be seen, heard, and experienced. Through modular play components participants could construct their structure in unique ways, exploring how the materials attach and how they fit together to make a strong structure. Using gold and silver material participants cut out shapes using pre prepared stencils based on shapes sourced from details taken from the building. 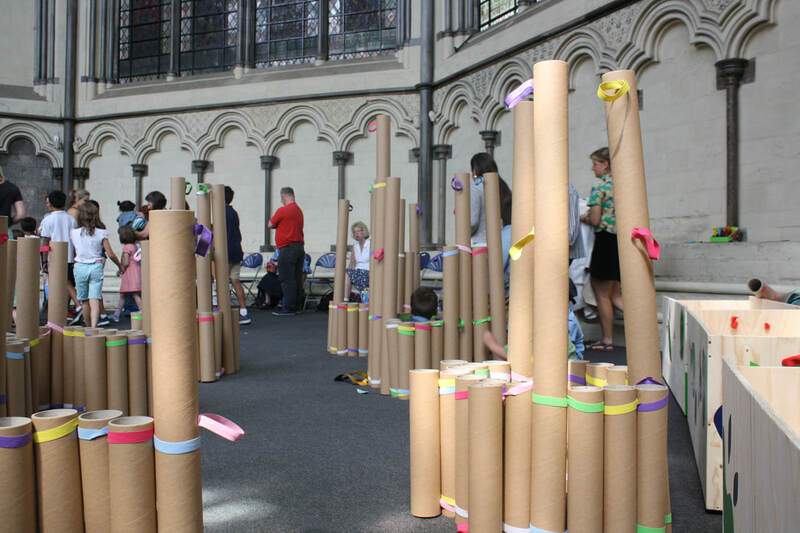 "The creativity with which co-db approached our brief was inspiring and the activity they produced was so much fun. 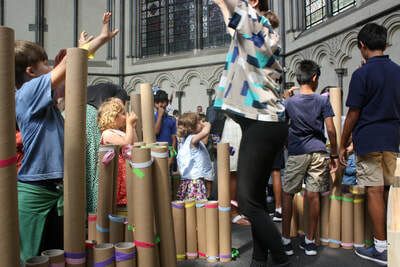 By focussing on children’s natural instincts of play and exploration they enabled the whole family to respond to the spaces and shapes created 750 years ago by medieval builders. 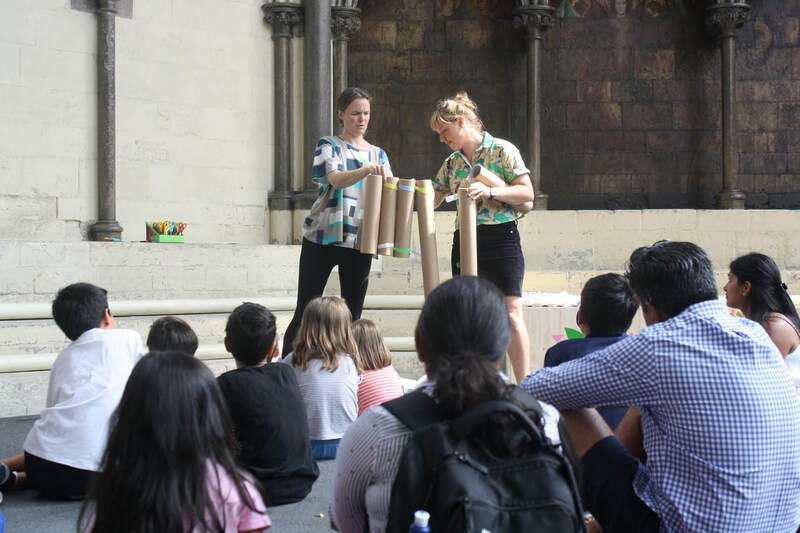 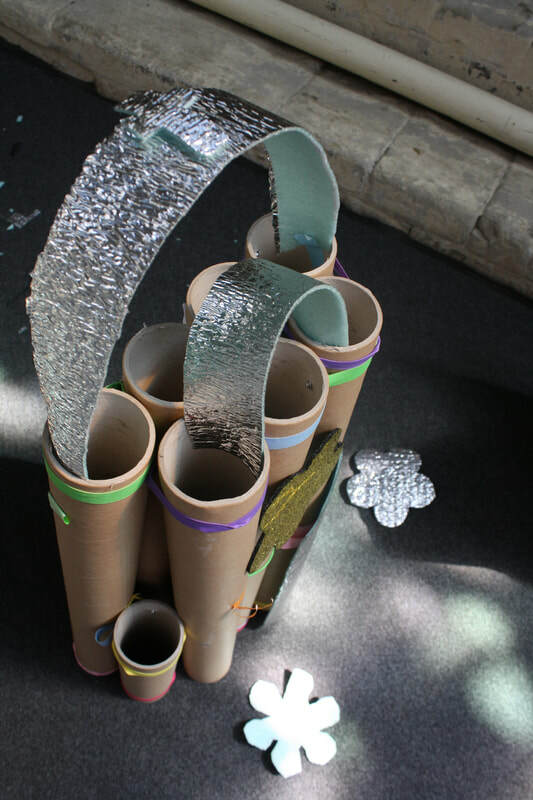 The activity appealed in different ways to children of widely differing ages and the robust materials will be used again and again by the learning team at the Abbey." - Grazyna Richmond, Head of Learning at Westminster Abbey.